Welcome to James Foy Plumbing. We are local plumbers & heating engineers serving all areas of Liverpool/Merseyside. Our services apply for both domestic & commercial properties. We provide certified, Gas Safe® (563549), professional plumbing & heating Services to all areas of Liverpool. Call us 24/7 if you have a heating or plumbing problem, domestic or commercial, and speak to a friendly member of staff! Contact us today on 0151 438 2297 or contact us online. We welcome all customers to examine our photographs of previous projects to see our standard of workmanship. We further recommend you to review our testimonials from previous customers. All our plumbing, heating and bathroom fitting services are available on finance. All our plumbers & heating engineers are certified and/or Gas Safe Registered. Our services are available to all areas of Merseyside, including the City of Liverpool, Sefton, St. Helens, Wirral, Widnes, Southport and Knowsley. We offer competitive pricing, exceptional workmanship, specialist and impartial guidance tailored to customers' requirements. Our plumbers & heating engineers have decades of combined experience in the plumbing & heating industries. Our services include boiler servicing, power flushing, toilet repairs, boiler repair/boiler installation, central heating installations, gas safety certificates, bathroom fitting & installation, tap repair & installation, unvented cylinder repairs & installation and all plumbing repairs. We also offer drain unblocking & cleaning. Our team of plumbers, heating engineers & gas engineers prides itself in delivering the highest quality of craftsmanship and advice to our customers and commercial clients. If you have any enquiries or require our services/quotation, please don't hesitate to contact us, 24 hours a day, seven days a week. Divisions of our team are commercially gas safe. We can issue commercial gas safety certificates, including conducting commercial boiler repairs and boiler installations. NOTE: We are looking to employ a full-time electrician - please click here for more information. 26th March 2019: It's been a busy few weeks with various substantial projects being undertaken, including our smaller day to day works. We have added a few photographs of our recent boiler installations, replacements and conversions. We have initiated a full property refurbishment with Lewis & Foy Lettings offering the letting. The property had been completely stripped and had laid empty for approximately five years. Our teams are fitting a new kitchen, bathroom, gas central heating and re-wiring - every aspect of refurbishment is being undertaken. Of course, we have been conducting our various gas safety certificates, boiler servicing, general plumbing and heating work. 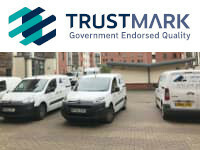 We have also been completing commercial gas works, including commercial gas certificates and commercial boiler repairs. Jonnie, senior electrician of JFE, has been leading the team on a substantial electrical installation for a large brand new club/bar on Hanover Street, Liverpool City Center - we look forward to seeing it on opening night! PS: we are currently looking to hire another full-time electrician! 1st March 2019: Commercial boiler installations completed with lagging! 26th February 2019: Full bathroom installation for probably our most prolific customer Mrs Feldman! It seems that we've been working almost continuously for the last year for her and her family, whether on their families hotels or her private property. We completed a full bathroom for her family, including her new addition! We have also been completing our usual boiler installations, commercial gas certifications, commercial repairs etc - some photos are below (some show the work in progress!). We have also began a full property refurbishment on Romulus Street which will last approx. 4 weeks. This property has been empty for 5 years and is undergoing a full property refurbishment to bring into a high living standard ready for letting. 3rd February 2019: Three full bathroom refurbishments in a single property in Aigburth. Our teams designed, managed and completed the whole project. The ensuite bathroom was especially tough due to the ensuite room containing part of the stairwell. Nevertheless, we achieved the customer's requirements. 30th January 2019: This is our first update for 2019. We started our new year installing a new heating system for a large private nursery in Huyton. Initially, they had a single 120kw boiler which consistently failed, resulting in downtime for the nursery. The radiators are original old cast radiators. While the radiators worked sufficiently, the system water was in relatively poor condition. We cleaned the system to the best of our ability, but to avoid dirty system water circulation through the new boilers, we installed a plate heat exchanger. This effectively created two systems in which the heat exchanges between the two through a highly thermal conductive plate. The new boilers only circulate clean, treated water allowing them to operate efficiently. The new system has redundancy built in with the two boilers working together to adequately heat the system and acting as the primary source for the indirect unvented hot water cylinder. We have worked together with Ideal, the boiler manufactures, to ensure commercial standards have been met, subsequently leading them to extend the warranty for the Nursery. Of course, we have been doing our general domestic home boiler installations for private customers. In regards to bathrooms, we will create another update with these - we're currently finishing 3 bathrooms in the same property. 17th December 2018: A customer in Huyton had expensive electrical heaters throughout her property. These are often fairly unreliable, expensive and usually operate independently of each other, thus your home is often too warm or too cold - never really consistent. We have installed a full central heating for the customer in the current position of their multipoint. During a bathroom refurbishment, we also installed another Worcester CDI boiler, including replacing 14 radiators. 6th December 2018: A stunning bathroom for a lovely family in Crosby - we are completing their boiler and kitchen, too! We also completed commercial hot water works installing two unvented cylinders, replacing four old hot water cylinders which had deteriorated and provided poor pressure for residents. 16th November 2018: With the winter creeping in we have been occupied with boiler installations and full central heating systems, with us providing all the components including radiators, magnetic filters, wireless thermostatic controllers and boilers. All our installations are boiler plus compliant with the thermostatic programmer containing load compensation. You can view more about Boiler Plus here. We have also been installing our first electric system boiler with an unvented cylinder. This is currently being installed in an apartment on the Albert Dock which maintains no gas supply. 6th November 2018: During this time of the year, people are starting to use their central heating system more frequently. It has usually had limited usage over the summer. We also usually conduct more power flushes during this time of the year too. People will ensure their system is working to its potential ready for the winter. Below is a few snaps of our engineers' power flushing our customers central heating systems. As a precaution, we often install a new magnetic filter onto the current system to help maintain function and keep the heating system relatively clean over time. "James and his team came to build and fit out an ensuite in our main bedroom. The job from beginning to end was carried out with great professionalism and the end result was everything and more than we could have expected. We have no hesitation in recommending this company - they really go the extra mile to make sure the customer is satisfied." 23rd October 2018: A client had an extension built (by another company), and the central heating system kept losing pressure multiple times per day. The extension was of considerable size and the pipework was buried underneath the concrete. This made it impossible to exactly pinpoint the issue - no water was visible on the surface. Using the latest thermal technology we pointed out the exact location of the breakage avoiding unnecessary and expensive excavation. 18th October 2018: Our organisations have been extremely busy commencing a comprehensive property refurbishment of a seven bedroom hotel purveying towards the short stay hotel market, such as Airbnb. We gutted the property entirely and renovated all aspects including heating, electrics, bathrooms and general works. The building is controlled remotely by the owners using WiFi enabled locks and one-time access controls/codes. Aside from this project, we have completed our usual boiler conversions, full central heating installations and unvented cylinder replacements. Of course, we have also completed further bathroom refurbishments. Speaking of bathrooms, for the past five months we have not been accepting invitations for bathroom quotations due to being fully booked for many months. We are happy to announce we are now taking new quotation requests. We have something else unique to our services to announce. During the last six months we have been developing a service many of our landlords have requested whether we offer. The service - property management. We have established a business named 'Lewis & Foy Lettings' with a close associate, William Lewis. William Lewis is a Chartered Surveyor with decades of experience and operates a substantial property & land portfolio throughout Liverpool & Lancashire. We will have further news to announce about this in due time. In the meantime, you can view our website here. We have also expanded our Electrical services through James Foy Electrics - we have had our first two vans signed up, similarly keeping the brand throughout. Jonnie is leading up our electrical team. Oh, we would also like to welcome three new members of staff - Allen, William & Sean. That's it folks! 2nd July 2018: Two jobs worth a special mention. One is a beautiful bathroom installation off Lark Lane in which a Victorian style bathroom has been designed and installed. Looks amazing! The second is a 20 radiator installation with a Worcester GB162 and unvented cylinder installed in a student property near Liverpool City Centre. This provides 500 litres of hot water available instantly on a secondary return. 2nd July 2018: Bathroom installations. Boiler Installations. Plumbing repairs. A selection of photographs from our usual daily work! 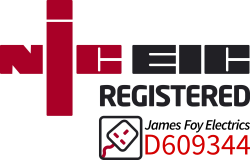 Keep an eye out for James Foy Electrics new website. We are growing this side of the group rapidly. We are now NICEIC certified Domestic Installers! 5th June 2018: Well... summer has definitely arrived and we're loving the weather. We've been busy with usual boiler installations and conversions recently, which can be a little odd during this time of year. We are currently preparing for large installation works on Denman Drive which will be commencing this month. Anyway, as always we have included photographs of some of our recent plumbing and heating works. 30th April 2018: A boiler installation project on Hutchinson Street, Liverpool City Centre. This property is both the private residence of a loyal customer plus a short term stay rental. We installed 3 ATAG combi boilers, replacing their old combi boilers - one replacement took place in their rental property plus 2 in their private residency. Documented is another 2 boiler conversions from hot water cylinder/system boilers. 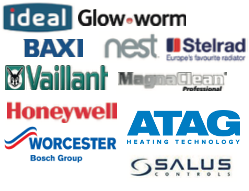 We installed ATAG boilers in all of these properties - excellent boilers with large 10 year warranty. As stated in earlier updates, we've been gradually increasing on drainage repairs. We replaced another collapsed gully for a lovely family in Huyton. We also worked for Hatfields Jaguar last week, removing drain blockages from their sales showroom on Riverside Drive. Tom also successfully installed his first dishwasher for Police Mutual - hahah! 17th April 2018: It's that time for another update. Below are photographs of some recent plumbing, drainage and heating works we have completed recently. We've been gradually completing more drainage work than usual, including jetting blocked drains clear and replacing collapsed drains throughout Merseyside. We also completed another phase of hot water works at a care home. This comprised of two unvented cylinders linked together, including a secondary return providing many individual rooms with almost instantaneous hot water. Their current hot water system was extremely fragmented and suffered from huge hot water delivery delays, resulting in high water bills. Of course, we have also been completing our usual boiler installations, unvented/open vent installations and general day to day repairs. 16th March 2018: It's been a busy few weeks here at James Foy Plumbing. We have been doing our usual boiler installations, conversions, bathroom installations and unvented hot water works - including many plumbing/heating repairs for our clients, old and new! As always, we've published more photographs of our works. We also welcome a new member of staff David - he will be completing installation works for heating and hot water. 24th January 2018: After the recent festivities everyone is back to usual! We have included some photographs below from our works in January. In November we put a temporary restriction on bathroom quotations due to a full order book. We are now accepting quotations for bathroom, albeit we wouldn't be able to start immediately. We have also successfully won further works in student accommodations in both Liverpool & Manchester with Liberty Living. 12th December 2017: So yeah - the winter has really started now. Seemed to change overnight! Our team has been busy with the usual boiler installations, unvented installations and general plumbing/heating & hot water works. We completed a large drain cleaning job at a student accommodation which took us 3 days to complete - ewww! We also installed a full bathroom with storage under the bath! So anyway, this will probably be the last update until the new year now, so we've included a few photographs of works completed recently. We would like to wish our members of staff, all 21 of them - including their family, a Merry Christmas and a prosperous 2018. All have worked extremely hard and are greatly appreciated. Last but not least, we wish to say thank you to all our customers, both old and new, for their loyal custom throughout 2017. We have some exciting changes happening in 2018! 23rd November 2017: Welcome winter! James Foy Plumbing are now officially Worcester Accredited Installers allowing us to offer extended warranties (10 years) and better deals on Worcester products. We also welcome Ashley to our office team! We've been busy doing our usual boiler installations, conversions and repairs - including more and more commercial gas works. Actually been doing many unvented cylinder installations too - I've a feeling it won't be long till we've done most of Wapping Quay! Of course, multiple bathrooms have been completed too but we've temporarily stopped new bathroom quotations as we're fully booked now until April 2018. We will soon be releasing a feature on our website which will allow you to build your own boiler installation package and it'll give you a fairly accurate pricing. 19th October 2017: Our company is delighted to announce the employment of 5 new members of staff - Neil, Andrew, John and Peter. We will also be welcoming a new member to our office team to help Gemma & Claire. The new members of our team will enable us to survey more and complete larger commercial works in the future. You will have started to notice the colder and slightly darker mornings dawning upon us. Although, to some people it will start to signify the run into the new year and Christmas. However, to us it signals our busiest period of the year. Homes throughout the city and local suburbs will begin turning their central heating system on for the first time in months, potentially. If you have an issue with your central heating turning back on, commercial or domestic, give us a call! Below are just a few snaps from recent works. We installed a SalonMaster for Prado in Liverpool One. Prado is a luxury hair dressing salon. 20th September 2017: Hola! This is probably the longest period without any of our usual photos and updates. We've been extremely busy on commercial works in student accommodations and with the installation of two commercial boilers producing 160kW of heating power! This is for a new luxury hotel situated on Dale Street currently being developed. We also installed a new 30 metre flue for the boilers to exhaust into. Of course during this time we've been completing the usual boiler installations, conversions, general heating/plumbing repairs and new bathroom installations. We are also currently hiring more staff. We are looking for a further two bathroom fitters and one, potentially two, further heating engineers - primarily domestic engineers. We are also looking forward to moving into our new office/unit located on Bridal Road. Oh, almost forgot - we will soon be Worcester Accredited. 4th August 2017: Last week was very busy! We completed a commercial boiler installation for a luxury care home in Blundellsands. The boiler provides both heating and hot water via an indirect unvented cylinder. Also, more boiler installations and conversions completed using ATAG boilers - great product with 10 year warranty! 20th July 2017: Large commercial works in 116 flats in the 'The Atrium', Manchester commencing. These flats are being renovated to new luxury flats. New bathroom installed in Aigburth too. Crazy busy! 4th July 2017: Real busy week - a couple of photographs from heating and plumbing projects, including bathrooms completed last week. Few projects are waiting for our electrician to attend. Our team will be in Manchester next week on a large commercial project. We upload some photographs from our adventures a far! 21st June 2017: Further photos from commercial hot water works in Merseyside. These include a full bathroom completed in Aigburth. We're currently completing multiple bathrooms but one included a new boiler installation (Worcester) which was relocated with a vertical flue installation. We also welcome James to our ever growing team. Welcome James! We'll also be welcoming 2 further staff members on Monday who will be dedicated to completing our bathroom installations. 14th June 2017: Really busy week - you wouldn't believe it was the summer time! We finished an initial phase of hot water works in the prestigious Formby Hall (PGA Golf Course). They require a huge hot water supply for their commercial kitchens and bathrooms in their downstairs facilities. We installed a large commercial hot water heater running at 52kW of power - purely producing hot water. We liaised with their teams to ensure a smooth transition without any downtime for there busy kitchens and facilities. Next phase will be starting soon! Their grounds are absolutely beautiful and extremely well maintained. Another set of photographs documenting a 15 radiator installation with a large Worcester boiler and cylinder for hot water storage. Of course, we've the usual updates of boiler installations, replacements and full bathroom installations - including many smaller jobs! Well done everyone! 6th June 2017: Multiple boiler installations completed last week. We completed an installation in Concert Square which posed multiple difficulties with the height of the property (required a cherry picker). This week we're completing two large full central heating installations. Unusually, we're still fairly busy on boiler repairs! Next week we've multiple commercial boiler installations commencing! 23th May 2017: Stunning large bathroom refurbishment. Our team completely stripped out the bathroom to bare walls and floor. We first and second fixed a new bath, shower enclosure with wall to wall screen, thermostatic shower, toilet and wash hand basin. Of course, we then tiled the whole bathroom - wall and floor. We also created a niche within the showering area which is fully tiled. New spotlights installed too. We completed this bathroom in Aigburth, Liverpool - great result! 14th May 2017: Really hectic week - we fitted 8 boilers for domestic and commercial customers throughout Merseyside. Multiple combi swaps, including full central heating installations and conversions from traditional heating/hot water systems. Check our photos below for a sample! We also have two bathrooms nearing competition, one of which was extremely designed beautifully by the customer - we simply implemented their desires and plans. Ciaos! 27th April 2017: We haven't had much time for updated photographs recently. However, we're going to do one update per week with a whole batch of photographs. So... multiple boiler installations/conversions (including new radiators, gas run upgrades, removing balanced flues etc) throughout Liverpool & Merseyside. We also completed another two full bathroom installations in which both have new UPVC windows replaced too. We also removed a chimney breast from one of the bathrooms and fitted gallows brackets to support the remaining chimney making room for their new shower enclosure. New Main MultiPoint BF gas water heater installed for a large chemical company. Outstanding quality by all of the team - we're very proud of what we produce. All works have been overseen by James Foy! 17th April 2017: Heating and plumbing works completed last week. Multiple combi boiler installations including an installation for Camelot who run the National Lottery! We completed a new ATAG boiler installation in Allerton. A new cold water tank relocated for a customer who is looking to sell her home and an unvented cylinder replaced also. We also welcome Arthur to our bathroom installation team. Welcome Arthur! 8th April 2017: Full bathroom installation completed in Hunts Cross. We provided all necessary labour and the customer provided their own materials, with our guidance. Couple of photographs of a heat only boiler replacement and a new combi boiler install. We've also had a new water jetting machine installed into our vans for unblocking drains, cleaning drains and generally unclogging our customers drains/waste pipes. We travelled to Reading for it to be fitted! 31st March 2017: Commercial and domestic gas installation work. We replaced an old commercial flue in a care home in Huyton during an initial phase of works and we'll be finishing phase 2 next week. A couple of photographs of an unvented installation and an ATAG boiler replacement for a home owner. 28th March 2017: ATAG boiler installation in Kirkby for a great family. We'll be installing 3 new ATAGs this week. The photographs document the boiler during installation. All pipes have been lagged due to the boiler being located in a small outhouse to the main property. 22nd March 2017: Boiler installation in Southferry Quay with multiple access points for future flue inspections. We also installed a vertical flue. Nice shot of the Mersey too while on the roof! 22nd March 2017: Full conversion to a combi boiler in Hillview Gardens, Woolton for a lovely lady. We installed a new Worcester Greenstar 30kw with a vertical flue. Customer original had an old floor standing boiler which required replacing. 21st March 2017: Full bathroom installation completed in Woolton - we supplied all the labour, including tiling, plastering, plumbing and electrical works. We also installed a new full central heating system into the property as the family have recently purchased the property. 17th March 2017: Hot water installation works including a combi boiler installation in Everton. We moved many of our older photographs to our older updates page. 13th March 2017: Further heating/hot water installations - a boiler installed using our 12 months interest free finance and an unvented hot water cylinder on London Road, Liverpool City Centre. 9th March 2017: We will soon be collecting brand new drain jetting equipment for fitting into a dedicated van. The van will be built with domestic properties in mind, thus being compact and easily manoeuvred. 7th March 2017: Full central heating installation and boiler conversion completed by our heating engineers! 3rd March 2017: Hot water cylinder in Aigburth and new en-suite bathroom installation completed in South Ferry Quay by our heating engineers and bathroom fitters. We supplied the bathroom and fitted it, removing all the stress from our customers! 2nd March 2017: After a busy few weeks of interviews we are pleased to announce 4 new members of staff. We welcome John, Robert, Liam and Chris - two bathroom fitters and two very experienced gas engineers. John is also a commercial gas engineer required for future projects. 23rd February 2017: Boiler reallocated in a domestic property. 22nd February 2017: New vans arrived, plus the eventual obligatory pick up truck for surveying jobs and picking up our customers when we help them pick their bathroom suite, tiles etc. We also welcome Liam Lynch onboard our team. Liam will be working with our bathroom fitters full-time. Welcome Liam! 17th February 2017: Full central heating installation. Close up of our pipework! Excellent workmanship from the team. 16th February 2017: Stunning bathroom refurbishment completed in Southferry Quay (1 of 2, we're completing the en-suite too). We are having interviews on Tuesday for further bathroom fitters and gas engineers. 15th February 2017: Full central heating installation completed in a domestic property. Customers had no central heating in the property - new boiler and full heating system was installed by our plumbers & gas engineers. Stunning pipe work by Tony! 14th February 2017: Boiler installation completed by our engineers. Customer took advantage of our 0% APR rate for 12 months. We installed a brand new Worcester boiler and magnetic filter, including the replacement of multiple radiators throughout the property. Customer is delighted! 8th February 2017: New boiler installation on Ullet Road (next to Sefton Park). Thanks to Pristine for managing the fourth floor flue! 7th February 2017: We have been unbelievably busy the past week completing multiple boiler installations and boiler repairs. We also finished 3 full bathroom refurbishments in Liverpool City Centre & Aigburth. 24th January 2017: Two combi boiler replacements for a landlord (boiler was stolen!) and a domestic homeowner. Two new vans entering our fleet soon! We're currently hiring too - specifically bathroom fitters. 18th January 2017: We are looking to employ a further two bathroom fitters full-time due to exceptional demand. You can view the job on Indeed. 18th January 2017: As tough as our industry is, sometimes we experience places not many people often get to visit. Yesterday we visited BAC (Briggs Automotive Company) who build high-end road cars which have been featured on Top Gear. We completed commercial heater repairs in their manufacturing & design complex. It was fantastic to meet their engineers & designers who all where extremely accommodating to our questions regarding the cars. Great experience! Photos of our visit, including a boiler conversion, multiple combi boiler installations and a complete bathroom! 13th January 2017: Fantastic hot water and heating installation in Allerton. Gledhill cylinder installed - we supplied and fitted the whole installation. Great end to the week! Ciao! 12th January 2017: Combi boiler installation in Ellerman Road, City Quay. We required a cherry picker to reach the highest floor (thank you to Pristine Clean)! We also had to use multiple flue lengths fitted into the ceiling with access panels. We also re-boarded and plastered the ceiling. 10th January 2017: Saniflo AC2 installation for a small cloakroom refurbishment. Photos show the pipework layout. We supplied all the fittings too . New van arriving next week after weeks of delays! 9th January 2017: Phased hot water installation works in Woolton - hot water is circulated constantly giving instant hot water at multiple hot water outlets. Bathroom shower cubicle fitted, including multiple boiler installations and a conversion completed last week. 23rd December 2016: Multiple installations completed on Friday - two combi boiler installations, a new unvented cylinder installed in South Ferry Quay and a new water heater for a restaurant in Liverpool City Centre. 22th December 2016: We are almost into the new year and we have been compiling some statistics about our previous 12 months using our database, vehicle tracking, websites logs and phone logs. Some are irrelevant and others meaningless! We are the highest rated plumbing & heating company in Liverpool. We have 230 collective positive reviews. We rank for 1,918 keywords on Bing, Yahoo & Google. 21th December 2016: Customer in Aintree had an old balanced flue. We installed a new Worcester (regular) boiler. We also patched up the outside walls! 20th December 2016: Unvented cylinder (direct) installed in Acorn Court, Toxteth. This cylinder has two immersions for off-peak and on-peak. 19th December 2016: We wish all our customers & clients a Merry Christmas and a prosperous new year in 2017. Thank you to all our staff (our plumbers, heating engineers & office staff) for their hard work and dedication over the last 12 months. Santa will be coming early with some new vans we hope! Our office will be shut from 7PM on Friday 23th of December until Wednesday the 28th of December. Normal operation will resume from this date. We will not offer emergency call out over this period to the general public. 16th December 2016: Unvented cylinder installed - first class! 14th December 2016: Customers boiler was beyond the point of economical repair, concluding to us fitting a new boiler. 13th December 2016: Two bathrooms completed today. A full bathroom completed in Bentley Road, Toxteth - our joiner also created a cupboard for the customer. We supplied and fitted the bathroom, including all trades - tiling, electrics, joinery and of course, plumbing. Another bathroom was finished on Mollington Avenue for a lovely lady, after being continuously let down by multiple companies. Bathrooms where managed by James Foy. 12th December 2016: Our team (minus a few who could not attend!) had our Christmas night out on Friday . A great night was had by all! Couple of photographs of a boiler installation too. 8th December 2016: Multiple boiler installations completed this week. We re-located a boiler into the loft space with a vertical flue (installed a new Baxi boiler). 6th December 2016: Awkward little bathroom completed in Camphill Road, Woolton for a lovely lady named Liz. Liz was a great host to our bathroom fitters and it was delight to help her through the bathroom installation process. Apple pies, coffee and tea was in ample supply! 5th December 2016: Boiler conversion with all new pipework and a straight forward boiler swap! We are also looking to expand our office team. The job has been advertised on Indeed and Universal JobMatch. Our new year will start busier than ever - we have secured multiple commercial installation works in a large care home. 30th November 2016: Three boiler installations completed by our heating engineers. Ideal Vogue boiler installation in Laburnum Avenue, Belle Vale. We also installed a vertical flue onto a flat roof. Second install was for a void property in Toxteth. Third installation was for a family in South Mossley Hill Road (with a stand off kit). 26th November 2016: Boiler installation in Blythswood Street, Aigburth. 25th November 2016: Boiler installation in Downing Road for a great family! Magnetic filter was fitted under cupboard. We've also been carrying out commercial boiler repairs on 80-100kW boilers for two care homes. These boilers are installed in a cascade formation (allowing the system to be expanded in a modular way). 23rd November 2016: Gledhill unvented 210ltr slimline cylinder installed by our certified G3 engineer. 22nd November 2016: Gledhill indirect cylinder replacement for a domestic property by our plumbers & electrician. 22nd November 2016: Baxi 40KW combi boiler installation on Harlech Road, Crosby - Sefton. Magnetic filter fitted and chemically flushed! . Stunning bathroom works almost completed too, photos to follow! 21st November 2016: Baxi Platinum 33KW Combi fitted onto existing pipework for a fellow plumber! We completed this work for an urgent customer on Saturday morning. We also fitted a wireless thermostat for controlling the boiler. A magnetic filter was fitted to protect the heating system and chemically flushed. 15th November 2016: Baxi boiler installation in Victoria Road West, Crosby. We have taken some photos of the flue externally too. Our heating engineers removed the families'old combi boiler and re-piped a significant amount of pipework underneath. We also fitted a new MagnaClean Filter to help preserve their central heating systems condition. 11th November 2016: Plumbing & Heating works in Wirral. Property is being converted into four separate flats. Our teams installed a new Gledhill unvented cylinder, new radiators in conjunction with a heat only boiler and miscellaneous plumbing works. 9th November 2016: Bathroom supplied and fitted by our bathroom teams. Included a new P shaped bath, thermostatic shower, toilet and vanity unit. We completed all required works, including tiling, electrics, plumbing and joinery. Wasdale Road, Walton. 6th November 2016: Boiler conversion in Aintree. We installed a new Worcester Greenstar. Boiler photographs below document the boiler conversion during progress. A new gas run was also established. System was chemically flushed with a magnetic filter installed. 4th November 2016: Full bathroom re-furbishment on Manorbier Crescent in Walton for a lovely family. We guided the family through the whole bathroom installation process including all fittings and tiles being supplied by ourselves. The family wanted a 1800x800 bath which we managed to skilfully position into a tight space. We also built in a bulkhead with LED spot lights both in the bulkhead and ceiling. 3rd November 2016: Today we officially submitted our tender for a social housing contract. It has been an interesting process and we have gained indispensable experience. 2st November 2016: Boiler installation for WasteCare in their Liverpool branch. WasteCare provide recyclying services across the UK. They process 60,000 tonnes of hazardous waste per year with over 400 employees. It's fascinating to see how their business operates and processes huge amounts of waste. 1st November 2016: New Belingo van joins the fleet! A couple of photographs from a 3 day boiler conversion last week. We can feel winter coming! 28th October 2016: Worcester boiler installation in Liverpool, Childwall. A new combi boiler was re-located and installed in preparation for their new bathroom installation in a few weeks. We also installed a new magnetic filter to protect their central heating system. 25th October 2016: Full bathroom supplied and fitted in Acorn Court, Toxteth. Bathroom included a new shower tray for easy accessibility, new screen, shower, toilet and vanity unit. We also installed a new heater in their bathroom. We completed all required works, including tiling, electrics, plumbing and joinery. 19th October 2016: Full bathroom fitted in Blundellsands, Sefton. We completed all tiling, electrics and plumbing. This included a new thermostatic shower, bath, toilet and vanity unit. Contained new LED lighting and fan too. Our bathroom fitters also completed a full refurbishment of the WC room with a concealed cistern. 19th October 2016: Central heating installation in Wavetree. Customers decided to install a new Baxi boiler for their domestic dwelling. A filter was also installed to help protect their heating system in the future. System was power flushed too! 18th October 2016: Jumbo Transit all signed up. Yeah... the logo is huge! We've two bathrooms almost finished - photos coming soon! 14th October 2016: Boiler installation on Saxon Way, Kirkby with a vertical flue. We also flushed the system and installed a new central heating filter. 12th October 2016: Boiler replacement ready for the winter (starting to feel it now!). We have bathroom fitting interviews on Wednesday the 19th. We have one more available interview position, please send your CVs! 11th October 2016: Customer had a very poorly installed unvented cylinder causing multiple issues. One of our G3 qualified engineers, Peter, removed all excess pipework and re-installed the cylinder neatly. 11th October 2016: Photographs of a Baxi combi boiler we installed on Coronation Road, Blundellsands. We fitted a new filter and flushed the system. We also had a great meeting with the folks from Gledhill todayi (thanks for the Mocha!). Great company! We also welcome a new member of staff (gas engineer), Justin. 7th October 2016: Renovation of new cloakroom bathroom completed by one of our bathroom fitters on Rickman Way. Project included tiling all walls and floor. We also fitted a new toilet and basin. 5th October 2016: New Worcester boiler installed with filter and wireless RF thermostat on Romer Road for a domestic property. Couple of images of a new Ariston water heater too! 30th September 2016: Stunning bathroom fitted on Barlows Lane, Aintree. Our bathroom fitters installed a new full length shower enclosure, chrome radiator, thermostatic shower, toilet and vanity basin. We also created a bulkhead to add additional LED lights (including new LEDs in their ceiling). Tiling was 100% of all walls and floor. 28th September 2016: Tomorrow we will post 3 new positions available in our company on Indeed. We are looking for another highly experienced bathroom fitter to join our bathroom teams and two highly experienced gas engineers. We're especially interested in G3 (Unvented Hot Water) qualified engineers. You can contact us via email if you would like to apply. 28th September 2016: A boiler installation on Booker Avenue (seems like we're never off Booker Avenue!). Customer opted to install a new Worcester Greenstar 30si boiler. We also installed a filter to protect the central heating system and re-instated new pipework for a new gas fire. We're also in the final stages of two full bathroom installations being finished and as usual we'll post these photographs once completed. 26th September 2016: Boiler installation (conversion) on Croxteth Road, Toxteth. Our heating engineers fitted a new Vaillant EcoTec, wireless thermostatic and a filter (to protect the system and ensure boiler warranty). Boiler photographs below document our installation pipework. 21th September 2016: Eastbourne Road, Aintree - Full bathroom fitted & supplied by ourselves. Tony, one of our bathroom fitters, is going to improve on his shocking golf handicap with the customer tomorrow! 21st September 2016: We're seeing a drop in temperature in Liverpool or so we feel! People will be starting to turn on their heating since the summer months. If you require a boiler repair, let us know! 18th September 2016: Central heating installation in Sunlight Street, Liverpool. Customer decided to install a Worcester. Photographs show the project approaching completion with the chemical flush being completed. 9th September 2016: New Worcester boiler installation in Bootle. We have two stunning bathrooms finishing soon with some nice customised features! 6th September 2016: Full high specification bathroom on Glenathol Road. We normally only show photographs of completed works, but sometimes it's good for customers to see a bathroom taking shape. The photographs below document the bathroom towards the latter finishing. Check the tiled trim and both sets of taps wall mounted taps! We supplied & fitted the entire bathroom, including external modifications to the soil stack (also installed a new ATAG boiler). Bathroom takes into consideration their 'soon to be' new addition to their family! 2nd September 2016: Moved many photographs to our older updates page. 26th August 2016: Full bathroom refurbishment completed in Crosby, Somerville Road. New 900x900 quadrant shower enclosure fitted with an in-built niche, including new bath, toilet, thermostatic shower and basin. Shower area has been tiled 100% with 50% tiling and 50% plastered finish on the remaining walls. Whole bathroom was completed while customer was on holiday. 26th August 2016: Shower enclosure fitted, including tiling and first/second fix. 24th August 2016: Another ATAG installation with their bathroom commencing. Great support from the ATAG Technical Team who visited the installation! 22nd August 2016: Baxi Platinum boiler during installation and after for a landlord in L28! 20th August 2016: We are currently completing 3 full bathroom installations concurrently for domestic home owners throughout Liverpool. The first one completed was on Athol Street on Friday. We supplied and fitted the bathroom, including electrics, tiling and plumbing works. 16th August 2016: An ATAG 28kW installation (with a vertical flue) completed during a reallocation of their boiler from the bathroom which we are currently renovating. A member of ATAGs technical team visited us during the installation to help us quickly ascertain these new boilers. We are also installing the One Controller which is an internet enabled controller. It allows us, as the installers, to remotely monitor the boiler for potential repairs and service maintenance. 11th August 2016: Boiler conversion completed with a bathroom installation on Blantyre Road. Customer is delighted! 4th August 2016: Ideal boiler installed as a replacement for a broken down boiler. We also met the 'famous' Allen Hart today (he runs a huge Gas forum). Allen is employed by ATAG covering their North West operation. We have become an ATAG Selected Partner today and will soon be offering various installation offers. ATAG manufacture fantastic boilers for the high end market. You can view more information on ATAG Heating here. 4th August 2016: Phased heating & hot water works in St. Marys Prep. School, Crosby. 29th July 2016: Full bathroom installation including tiling, electrics and plumbing. They left us a lovely card expressing their appreciation! 29th July 2016: Boiler replacement in Litherland for a lovely family. The family took advantage of our finance package. 28th July 2016: We are proud to welcome 5 new full-time members of staff today. James, Anthony, Tony, Kevin and Phil. Kevin & Phil are two experienced gas engineers with James, Tony & Anthony joining our bathroom refurbishment teams. This is to compensate for our ever expanding order book stretching to January 2017! We will soon be receiving two new Citroen Berlingos which are currently being signed up. 25th July 2016: Full brand new bathroom fitted in Aigburth. Included all the plumbing, tiling, electrics and fitting works! We helped the family select their fresh furnishings and supplied them, ensuring the customer minimal fuss! 20th July 2016: A system boiler installation with a vented cylinder (installed in the customers loft) & full new radiators throughout property in Netherton! 14th July 2016: Our Which? endorsement is now live. This was a rigorous process (more than we imagined) which consisted of visitations from a trading standards officer spanning 6 hours. 14th July 2016: Multiple bathroom works! 13th July 2016: New Renault Traffic 16' Van enters its first day of service! 11th July 2016: We have been contracted to begin phased hot water/heating installation works in St. Marys College, Crosby. St. Marys is an independent private school educating children from ages 2-18. The school educates over 700 pupils. Our installation works will begin in August during the summer holidays based in their St. Mary's College Preparatory School. We hope to build a lasting relationship with our client! 5th July 2016: Brand new bathroom installation with a fitted suite. Included us supplying all fittings, electrics, tiling and plumbing works. Completed in Warner Drive, Walton. This is 1 of 2 completed this week - other photos to follow soon! 30th June 2016: New Worcester boiler installation in L25 by our heating engineers. Pipework was buried behind a cupboard which was carefully dismantled. We then replaced the old boiler and re-built the cupboard. We also fitted a new Magnafilter and flushed the system. 28th June 2016: Citizens Advice Centres in Liverpool will often have elderly people requesting assistance in selecting a suitable, safe and reputable company to replace their boilers. We think this is a great idea which protects elderly customers in Merseyside. We have been recommended numerous times. Below is a boiler replacement for such a customer completed by the team. 22nd June 2016: Gledhill 250 litre cylinder installation by our GSR/G3 qualified plumbers. 21st June 2016: We are looking to employ two full-time bathroom fitters with a wide skill set. Van etc provided and salary is negotiable. Contact us if you would like to know more. We'll be putting an advert on Indeed soon. 16th June 2016: Boiler conversion in Carisbrooke Road over 3 days. We installed a new baxi boiler including a full system power flush. We also completed a few extra plumbing repairs at no charge! 16th June 2016: Customers old shower enclosure was leaking and damage had been sustained to the wall. Our plumbers and fitters removed the old shower enclosure, repaired the the walls, re-tiled the area, fitted a new shower and enclosure in Aigburth. 14th June 2016: Ideal boiler installation and a cylinder installation in another property! 7th June 2016: We are delighted to announce our consumer finance services. See our finance options page. We now offer 6-12 months at 0% APR and 24-60 months at 9.9% APR. These are fantastic rates. All boiler and bathroom quotes will automatically display your financing options broken down into the 8 available options. 3rd June 2016: Customer had a bathroom very poorly fitted in by a company in Kirkby 2 years ago. We ripped the whole bathroom out, fitted new electrics, all tiling and fitted a whole new suite supplied by ourselves. Next bathroom starts Monday! See larger photos of this bathroom here. 2nd June 2016: Private customer in City Quay, Ellerman Road, required a boiler replacement. We removed their old Ideal Boiler and installed a brand new Vaillant. 1st June 2016: Today we started the official process of becoming a Which? Trusted Trader! 29th May 2016: Boiler conversion (with a new gas run) in Booker Avenue, L17 Aigburth. 17th May 2016: Gledhill (a large UK cylinder manufacture) featured our company in their recent news release located here. We're very proud to be recognised by Gledhill and to be working closely with them. 15th May 2016: Boiler installation in Durham Road, Liverpool! 9th May 2016: Boiler installation in Wallace Street completed by our team. Electrician will be fitting the fuse spur! 9th May 2016: Good news! We will soon (in two weeks) start offering consumer finance for our services, such as boiler installations & bathrooms. There will be multiple financial terms starting at 12 months. Once our FCA license is approved, we can then offer longer terms of finance (in hand!). Let us know if you would like to take advantage of this from today! 5th May 2016: Full bathroom installation finished just off Edge Lane. Including all tiling, electrics, plumbing and fitting. Customer supplied their own fittings! 1st May 2016: Another first class boiler installation by our team in Toxteth. 28th April 2016: A very futuristic looking shower facility we fitted in a domestic property. Includes a steam room and just about everything else! 27th April 2016: Boiler installation and upgraded gas run in Malvern Close! 22nd April 2016: Full 5 day central heating installation completed by the team! Included new boiler, re-piping and new radiators in the property. We offer many general plumbing services, including changing taps, repairing leaks, repairing toilets and resolving many other plumbing issues. We can also supply and install new showers, baths, dishwashers and washing machines. Our plumbers are highly experienced and qualified which gives you peace of mind. We offer premium bathroom installation and fitting services. Our reputation is exemplary throughout Liverpool & Merseyside. You can view our photographs here. Most of our bathroom fitting projects are complete installations, including all joinery, electrics, tiling and plumbing works. Our bathroom fitters specialise in complete bathroom re-modelling. We also offer a bespoke bathroom design service using industry specific bathroom CAD software to help you envisage your new bathroom. All our heating engineers are Gas Safe registered and can present their identification upon arrival. We can repair your boiler or service it ensuring better performance. Our plumbers & heating engineers can also install new boilers, including designing and integrating a new central heating system. During the winter months, we perform many boiler repairs in Liverpool! Our expect gas and heating engineers are available 24/7 and are Gas Safe Registered. The decades of combined experience allows us to resolve many related heating problems, such as leaking radiators, non-warming radiators and installing new radiators. If your central heating system is functioning poorly, we can power flush your system, improving performance and reliability. We can also fit new gas hobs, fires and cookers. Our dedicated drainage team can rectify drainage issues for both domestic and commercial properties. These include unblocking toilets, urinals, sinks, wash hand basins and showers. If you have blocked drains outside your home, we can use our high powered jetting equipment to resolve any drainage issues quickly. Our plumbing & heating services are available in all areas of Liverpool, Merseyside, Wirral, St. Helens, Knowsley and Sefton. Please click expand to view a list of areas we cover. If you are unsure, please give us a call on 0151 438 2297 or contact us via email.